What are your thoughts on Western classical music and fusion? I don’t like the Indian and Western comparisons, but the one thing I do like to take note of is that in the West, there is a space created for every genre thereby allowing it to exist on its own. Opera has opera houses, classical music has symphony halls, electronic music has clubs, and rock music has stadiums. Everyone has got their space and there are sponsors, donors, supporters, and radio channels for each genre. There is a setup for each thing and people can go for what they want. Is music and its education important? To an extent yes. Music is the fabric of our society, and music can shape abilities and character. Musical education can greatly contribute to a person’s intellectual development. Artistic education develops the whole being and makes one emotionally developed, with empathy towards other cultures. I was definitely soaking up a lot of music before I experienced any formalised learning. I certainly remember my first sitar lesson at around the age of seven. It was a key point, but I wasn’t very keen at that point. When would India be ready to fully support the classical arts? I think our music in its purest form is something what we always talk about outside India as being under threat. I see that less for myself because I don’t come to India that often, but I see my peers who say that they have to do collaborations and crossover fusion, and some kind of spin for it to sell. That’s such a shame because there is a huge audience for our music abroad. I tour around the world, the classical shows would totally sell out. There is a huge audience for what we have to offer. It’s a shame that it is not translating in the country of its origin. We have a narrow stream of media and it’s really prominent and therefore it seems like Indian music is under threat, because it is not very visible. There is only one genre that’s really visible. But if you go to any classical festivals in any of the cities, it is amazing, it is beautiful. There are thousands of people listening all night. What advice would you have for young musicians in India? I believe honesty and integrity are paramount to making music of value. Everyone has something unique to offer the world, and as an artist if you can tap into that internal core when you make music, then you are bringing something of value into the world. Now, in 2013, Anoushka releases Traces of You, having enlisted the help of multi-award-winning musician Nitin Sawhney to produce her music. As good friends they worked closely together, coaxing out some of the most intimate and daring music Anoushka has yet released. The music exists in an undefinable space between genres, always with the Indian music Anoushka loves so dearly at its roots. 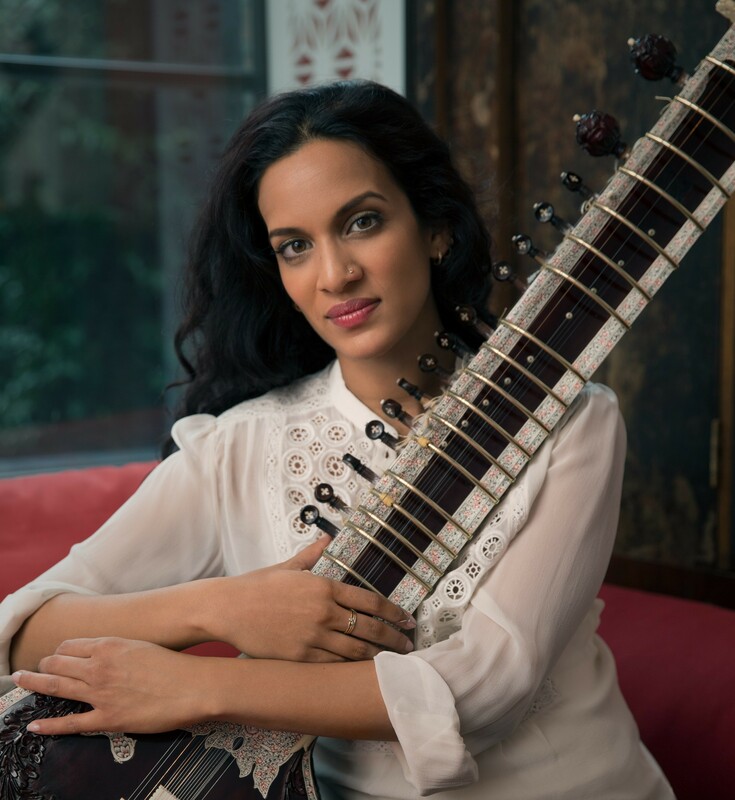 Traces of You features Anoushka’s half-sister Norah Jones as the sole vocalist on several songs and showcases Anoushka’s ever increasing versatility and lyricism on the sitar.